It’s a frightening opponent, a colorless and odorless gas that can kill people in their sleep – carbon monoxide. Our San Francisco carbon monoxide poisoning lawyer knows that exposure to this potent gas can be the result of shoddy construction or repair work, a faulty appliance, or other forms of negligence. When careless corner-cutting causes illness or death, including when improperly performed work leads to carbon monoxide poisoning, we believe in holding people accountable and in obtaining monetary damages for the victims. Prosecutors in Nevada County, California are pursuing charges against a contractor whose negligence is believed to have led to the deaths of two men, a development detailed in an article in The San Francisco Chronicle. Last fall, Albert Senzatimore, age 69 of San Jose, and Gary Trovinger, age 57 of Los Gatos, both died as a result of carbon monoxide poisoning. The two men were exposed to the gas in a home in the Tahoe Donner ski community. This Monday, Assistant District Attorney Anna Ferguson announced that 41 year-old Kurt Schoemig has been charged with two counts of involuntary manslaughter in the men’s deaths. Schoemig is the president of Cedar Ridge Builders, a Truckee-based contracting firm that performed work on the home, located north of Lake Tahoe. The prosecutor’s statement alleges that Schoemig’s negligence was a substantial factor in causing the carbon monoxide gas to be released into the home. According to police, an employee cut open a furnace exhaust pipe and then left the project incomplete. When the heater was turned on, the pipe vented the gas into the home. Additionally, Ferguson says that Schoemig did not have the proper permits for the work. As noted above, carbon monoxide (chemically, CO) is an odorless, colorless gas and exposure can lead to serious illness or even death. The Centers for Disease Control’s (“CDC”) Carbon Monoxide Frequently Asked Questions webpage explains that CO poisoning occurs when red blood cells pick up the gas and replace oxygen in the blood with CO, preventing the body from getting vital oxygen and causing tissue damage and, eventually, death. Symptoms include headache, nausea/vomiting, dizziness, confusion, chest pain, and weakness. Continued exposure can lead to a loss of consciousness and death. If victims are sleeping or intoxicated, death can occur without the person experiencing any symptoms. CO poisoning can be hard to diagnose since the symptoms can point to a wide range of causes. Carbon monoxide exposure sends more than 20,000 Americans to the emergency room each year and more than 400 Americans die annually from unintentional CO poisoning. Everyone is at risk, though infants and people with certain respiratory and heart problems are particularly susceptible. Carbon monoxide can be found in combustion fumes, including those produced by automobiles, other gas engines, stoves, gas ranges, heating systems, and as a result of burning charcoal or wood. 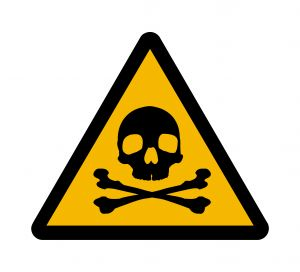 The gas becomes dangerous when it builds up in an enclosed or semi-enclosed area. Tips for preventing exposure include: Have heating and other gas, oil, or coal-burning appliance serviced annually by qualified professionals; If you use your fireplace, have the chimney checked and cleaned yearly; Make sure gas appliances are properly vented; Have automobiles serviced regularly, including annual inspections of the exhaust system; and Never run a car/truck/etc. in a closed garage. Additionally, every home should have at least one carbon monoxide detector installed near the bedrooms and the batteries should be replaced regularly. Our Northern California carbon monoxide poisoning helps people obtain monetary compensation after a CO-related illness or when CO poisoning causes a loved one’s death. Do not make the mistake of assuming CO poisoning was the victim’s fault. If you have fallen ill or lost a loved one to CO poisoning because a so-called “professional” cut corners or was otherwise negligent, you may have a legal claim. If a defective product released CO gas that made you ill or killed a family member, you may have a legal claim. If your landlord’s negligence and/or failure to maintain a safe living environment caused CO gas to harm you or a loved one, you may have a claim. In other words: If you or someone you love has suffered CO poisoning in San Francisco or elsewhere in Northern California, call our office to discuss your legal rights.